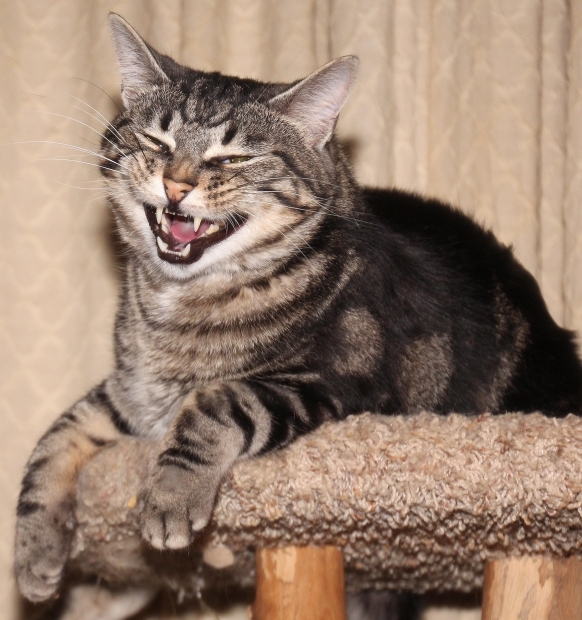 The knock-knock jokes around here were so good, even the cat was laughing. Image courtesy of deemac1, Morguefile. One sure way to keep a young kid entertained is to start telling knock-knock jokes. (No batteries or charging cords are required. Smartphone and tablet users, quit sighing in envy.) The kids will erupt in giggles and the parents and older kids will groan at the bad puns. I’ve been thinking over my childhood lately in the past week or so and I got to wondering: How exactly did knock-knock jokes originate? According to an article written by Linton Weeks of the NPR History Department, “The Secret History of Knock-Knock Jokes,” knock-knock jokes really got going in the mid-1930s. No one seems to know who exactly started the craze for knock-knock jokes but you have to admit, starting off a joke-telling trend that has lasted for about 80 years is impressive. And are knock-knock jokes told around the world? Wonderopolis says they are. This type of joke is found in several cultures. Orange you glad we don’t have to go anywhere today? Sarah a doctor around, I need a Band-Aid! Wanda who thinks up these knock-knock jokes? Blog readers, got any knock-knock jokes you care to share?